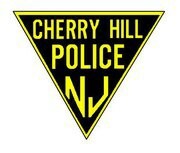 On Thursday, May 22, Cherry Hill Police were called to the Wawa at 843 Cooper Landing Road for the report of a theft. At approximately 3:15 a.m., a male entered the store and stole the charity donation jar from the front counter, which contained over $200 in cash and coins. The donations were left by patrons and were intended to benefit the Children’s Miracle Network. Police reviewed surveillance video of the suspect, which also showed the vehicle he was operating when he fled the scene and were able to locate the vehicle parked at a nearby apartment complex. The registered owner of the vehicle was identified as a 35-year-old male from Camden. Charges were signed to the male for the theft.